Please allow us the opportunity to serve you and earn your approval. Our customer service is second to none and each visit is a unique experience that makes you feel at home. Visit our lots in person or give us a call. Our sample inventory is but a taste of what to expect from our over 400 vehicles available. Our number one goal is to serve our customers and to make car buying something to look forward to. Discount Motors has been around for over 30 years. In those decades of serving our customers, we have learned a lot about on how to treat them, as we ourselves want to be treated and as hardworking American families seeking dependable vehicles. You are not just a number to us, but a life-long member of our family. Our priorities set us apart, and that is why our customers keep returning. We have earned their trust over the years and continue to serve their children, and their children. Let us show you why we are the company that cares. Discount Motors does not only offer you the best in customer service, but the best prices. Our company believes in putting the customer first, that is why when you purchase a vehicle from us, you'll have peace of mind knowing you are saving thousands on every vehicle you buy! No deceitful tactics to make a quick sale, underlying schemes to make a quick buck at your expense. We carry along our pride in dignity in our brand, a brand that stands for much more than just a car lot. We are a dealership that cares about the families we put in the cars. (We don't just see the value of the cars we put families in, we see the value of the families we put in our cars!) and we are always here willing to help, whether you are looking for a small car that saves you gas for work, a larger SUV to drive your family around, your dream convertible sports car, and everything in between! 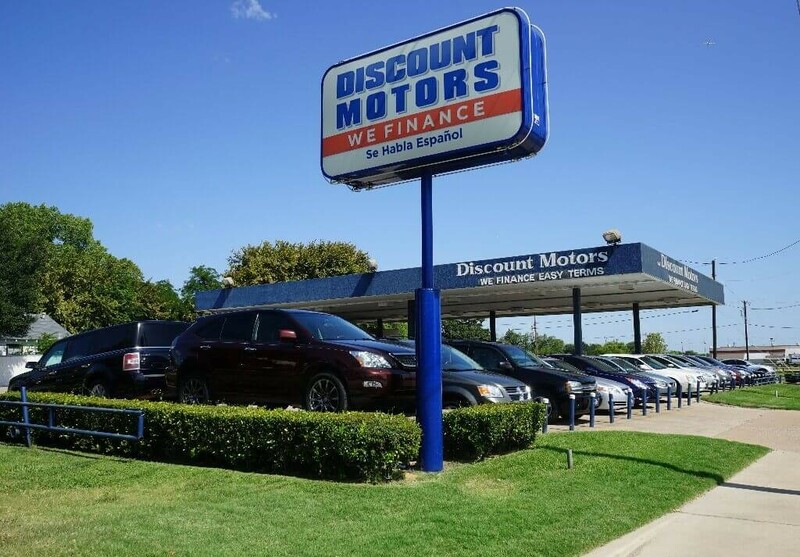 Discount Motors is here for you on all occasions and circumstances and we make it easy for you to finance! We know not everyone has good credit or a perfect purchase history, but we believe everyone should be a given a chance to purchase a vehicle for transportation. Our excellent team of salesman will assist you to get you there, to get you driving out the lot another one of our over 150,000 satisfied and happy customers! We make dreams come true!